In the next few days, we will inform our 10 Performance Studies Hamburg Travel Grants and 15 Performance Studies Hamburg Production Grants scholarship holder. Over fifty applicants from more then 20 different countries applied for the Performance Studies Hamburg Grants. The Performance Studies Hamburg Travel and Production Grants are an initiativ of this year’s conference organizers. 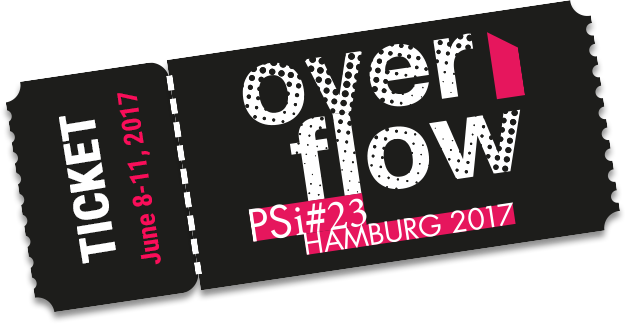 Please send your application between February 27 and March 10 (final deadline) to psi2017@uni-hamburg.de (with the title: grant application and please specify in which of the two categories you wish to be considered). Application instructions (submit up to 400 words): name, surname, city, institution, country; title of contribution and (for travel grant) amount of traveling cost (as stated on invoice). Both – travail grants and production grants – will be part of a lottery. The results of our lottery will be published on this website on April 11th, 2017. We especially encourage participants with lower incomes, freelancers (those without institutional support), or travelers from far distances to apply. The grants are the organizers’ contribution to make this year’s conference more diverse and to facilitate participation for contributions from all over the world. If you have further questions concerning registration fees or grants, please contact us via psi2017@uni-hamburg.de. We are looking forward to seeing you all in Hamburg.